All good magazines have pages designed to appease the terminally addicted and give succour to the ritually obsessed. 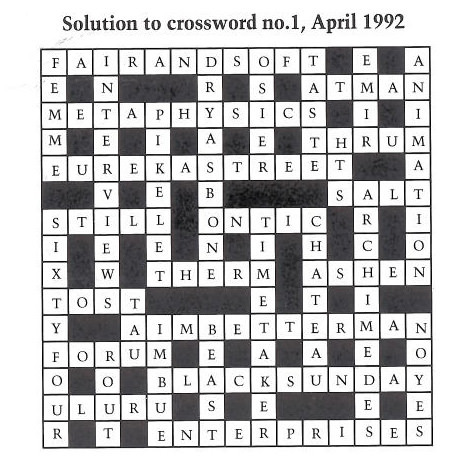 So when we began Eureka Street in 1991, it was a lay-down misère that we would publish a cryptic crossword. A hard one. Not perhaps as hard as the Times crossword that the likes of Inspector Morse would finish in a contemptuous 12 minutes while simultaneously downing a pint in The White Horse and solving a murder in Jericho. But hard enough to tease and satisfy. Who would devise it? I wish I remember how we arrived at Joan Nowotny. It might have been via a trumpeted competition or a stern instruction from a Jesuit lord-who-must-be-obeyed, but I like to believe it was divinely ordained that it should be Joan, only and always Joan, who would keep us gridded, intellectually tempered and clued up (her clues were so very mondaine). There are few certainties in the publishing business, but from the Eureka Street crossword's inception in 1992 to the magazine's final print edition in 2006, there was Joan, always on time, the crossword faxed on two pages of hard copy inscribed in a round and stylish hand that reminded me of the cryptic manuscript annotations of another formidable woman, Sister Mary Dominic, who had made a pianist out of my no less formidable mother. I fancy that the three women might now meet in a higher place, and I would not dare guess their conversation. I never managed to do — let alone complete — one of Joan's cryptics (Greek to me) but Kate Manton, who was both a fine assistant editor and logically inclined, used to entertain herself by finishing the crossword as soon as it came in. Kate swore it was an efficient way of proofreading. And who was I, cryptically challenged, to gainsay her? I think part of Kate's fun was to try to catch Joan in a mistake. Telephone calls would go back and forth. From my editorial fastness I would hear to their exchanges the way one hears to a conversation in Swahili, or the mobile exchanges of teenage girls — with bemused incomprehension. But I did understand how to recompense Joan for her freely given labours. In Victoria, New South Wales and South Australia there are now about seven licensed grocers or purveyors of fine wines who understand precisely what is meant by a nun's mixed dozen. Joan had a discriminating palate and a demanding social calendar, so we would coordinate the arrival of the mixed dozen to fit: more cabernet sauvignon in winter, and two dozen, not one, with some sparkling, for the hectic round of engagements leading up to Christmas. The licensed grocer (Turkish?) in Flemington took longest to adjust to the idea that he was boxing up Clare Valley Shiraz or Mornington Peninsula pinot for a Sister Joan ('Is she some kind of feminist? '), but even he grew eventually to enjoy the idea. There were many facets to Joan Nowotny. We saw the sparkling witty woman who never once let us down. If she would sometimes detour out of clues and into theology or delicious gossip, then that was a blessed bonus. Go well Joan. Thank you, and God bless. Sister Joan Nowotny's early years were spent in Brisbane where she was educated at Loreto Convent, Coorparoo. After joining the Loreto Sisters she studied Arts at Melbourne and subsequently graduated as a Master of Arts and Doctor of Philosophy in philosophy at University of Toronto. She taught for many years in Loreto schools, serving as principal at Normanhurst and Kirribilli. Later she moved into tertiary education. 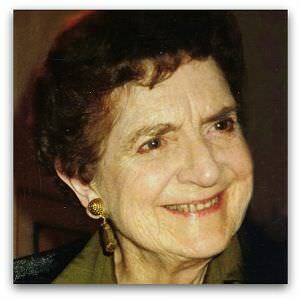 She was Principal of the Loreto University Colleges in Hobart and Melbourne, and taught philosophy at Yarra Theological Union from 1980 to 2003. There she was Academic Dean and Vice President. Morag Fraser is the former editor of Eureka Street. She is currently Adjunct Professor in the Faculty of Humanities and Social Sciences at La Trobe University, and writes for a diverse range of magazines and newspapers. Beautiful, moving and sad. One almost feels as if one has met joan. And very glad to see a crossword finally back in Eureka Street too. This is _beautifully done; thank you. I too feel like I have met Sr Joan, just in the reading of it. With the grace of God perhaps we all still will. Do they have crosswords in heaven, do you think? The Daily Telegraph in Britain used to bill itself thus: 'Hard news and an INFERNAL crossword'. Perhaps a clue to the eternal whereabouts of the confounded cryptic is right there! Thank you again. It's nice to know that about Joan after all this time. We learned to love her, sight unseen, through her crosswords, which were the usual cryptic pleasure plus a healthy dose of slightly mischievous fun. I too loved those crosswords. But just think for a moment: this lady was still lecturing in philosophy at the age of 78. Talk about rubbing it in to those of us who retire at a respectable 65. Thank you for such a beautiful and respectful obituary. 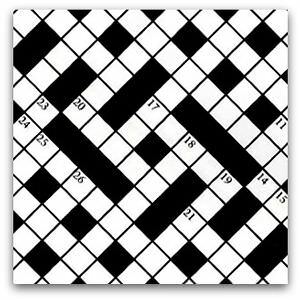 Whenever I received Eureka Street I would turn first to Sister Joan's crossword at the back and persist until it was solved. Over the years I learned to know her quirks and could sometimes get right onto her wavelength, without knowing anything about her except her crossword clues and solutions. I hope she is keeping them on their toes in heaven! Thank you for your enlightening and respectful obituary about a remarkable woman, whose demanding and delightful cryptic crosswords are greatly missed. I was annoyed to lose the crossword with the printed mag, having been a Eureka Streeter since the beginning, and am now saddened to hear of Joan's death. Thank you for the obituary and for filling in the richness of her life that was unknown to us out here. My wife and I mostly managed to complete the crossword before the next one arrived. Sometimes we got Joan's wavelength and completed it before coffee time. Sometimes we left more blanks than we filled. And one memorable time Joan got, one time too many for me, onto her cricket theme and I refused to even start the thing. I have printed out this crossword and with a bit of memory work, and a prayer of thanks for its author, we will have it completed in less time than a grocer can fill a mixed dozen. I was one of Sister Joan's students at Ena Waite College in Hobart. She introduced me to the delights of red wine and initiated me in the intricacies of the cryptic crossword. I was so sorry when the Eureka Street offerings ceased as I felt fantastic when I managed to solve any of them. A true intellectual Catholic who has contributed to church and university life greatly. vale! The reward for being the Student Representative in the YTU Philosophy Department, of which Joan was the head, was the fabulous annual dinner. Now I know where that mazing wine came from! Thank you Morag, but mostly thank you Joan. Though you were a daughter of Mary Ward and Ignatius of Loyola we Franciscan Friars thought the absolute world of you. existential import in engaging the deepest questions of life's meaning. greatly from the imaginative and incisive manner with which she taught. was her goal, and indeed the model that she herself epitomized.